Beads are an important part of Native American jewelry. 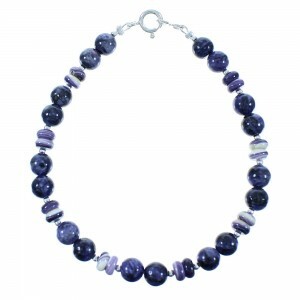 In fact, long before many tribes were introduced to silver, beads were the primary material used in bead bracelets. 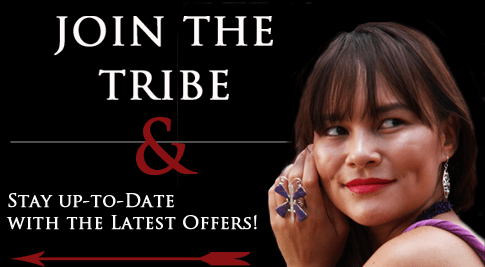 At SilverTribe, we have a great collection of bead bracelets from many tribes. When Europeans and Spanish settlers came to the Southwest, jewelry was an important part of trade for Native Americans, who traded bead bracelets and other items to support their economy. As time went on, more settlers and westward-bound Americans became enthralled by the dazzling appearance and flawless construction. 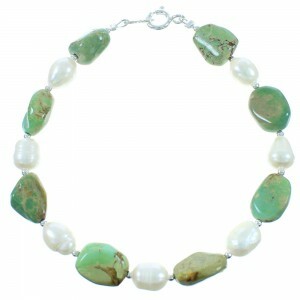 Today, bead bracelets are regarded for their beauty and design. At SilverTribe, we feature bead bracelets for all styles and occasions. 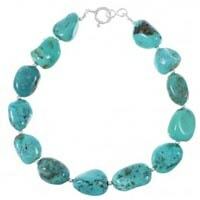 Whether you are looking for a multicolor bead bracelet with turquoise or a bead bracelet featuring azurite beads, we have an item for you. Every bead is made up of materials that are important to tribes, both historically and spiritually. Some of the beads used are believed to bring good fortune, strength and help the wearer overcome illness. 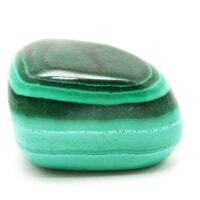 Others are believed to be soothing and protective. Many believe beads were a sign of prestige and status among Southwestern tribes. The more elaborate and detailed a bead bracelet, the higher one's status in a particular tribe. Experts believe beaded jewelry was the first type of adornment made by tribes and beaded bracelets have a long history that dates back as far as the 14th century. The Navajo, Hopi, Zuni and Pueblo tribes are all known for making magnificent beads. Beads are considered an important part of many ceremonies. For instance, historians believe bead bracelets and other jewelry were exchanged as a rite of passage in many tribes. When an individual passed through an important physical or social change, that person was often presented with beads. Women were often presented beads as a bridal gift. Many experts believe bead bracelets and other jewelry were also presented during healing and curing ceremonies, because the materials the beads were made from each held some type of meaning and power. Why not celebrate an important part of your life, or that of a loved one with an amazing bead bracelet that highlights stunning polished and shaped beads that suit even the most demanding of tastes. SilverTribe's inventory of Native American bracelets always blends the most popular fashion with tradition and expert craftsmanship. 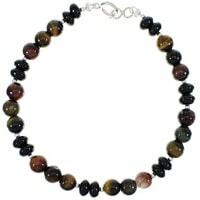 Our artists make the highest quality bead bracelets available on the market today. SilverTribe's inventory includes some of the most stunning examples of artistry and durability to ensure the bead bracelet you choose will last for years to come. 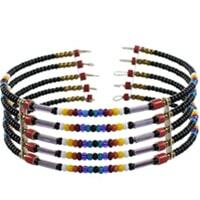 If you're looking for elaborate beadwork that highlights the distinctive style of Southwestern tribes, browse our selection of bead bracelets to find the perfect item for yourself or a love one. We are always offering steep discounts to ensure the price you find is the lowest available. Value and style is the cornerstone of every product we stock. No matter what your style or budget, we have a bead bracelet that will meet your needs.